3472 Corporal George Thomas Cox, 1/6th battalion, the Durham Light Infantry was killed in action 5 November, 1916 and is commemorated on the Thiepval Memorial, France. He was 29 years old and is commemorated on the Evenwood War Memorial. George Thomas Cox served in the Territorial Force 1/6 DLI and was given the regimental number 3472. He enlisted at Bishop Auckland. William Gray of Evenwood Gate, the Hon. Secretary of the Soldiers’ and Sailors’ Fund provided Rev. G. J. Collis, vicar of St. Paul’s Church, Evenwood with a complete list of those who had enlisted into His Majesty’s Forces. It was reported in the Church Magazine that George Thomas Cox, Oaks, had joined the 2nd Reserve Battalion DLI. His service details have not been traced therefore this information may or may not be correct. 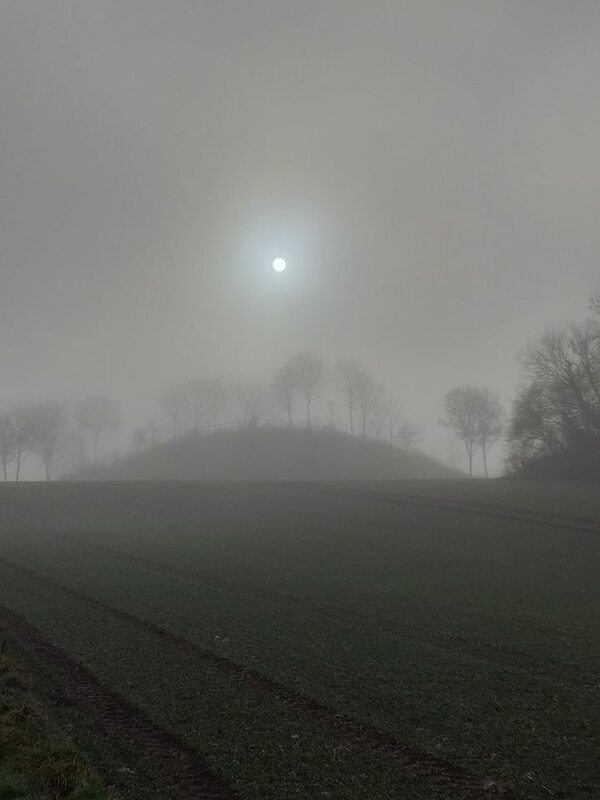 The 1/6th Battalion of the Durham Light Infantry were to see action at Butte de Warlencourt, an ancient burial mound, located between the towns of Albert and Bapaume in northern France. Bapaume was occupied by German troops. The British front line had advanced from a few miles north east of Albert in the direction of Bapaume to the feature known as the Butte de Warlencourt which lay a few miles to the south west of Bapaume. The Butte stood about 50 feet higher than the surrounding land and in theory provided a useful observation point for the Germans particularly towards High Wood and Martinpuich. The Butte was honeycombed with tunnels and dugouts which provided shelter for the German garrison. It had already resisted numerous British attacks over the previous month, October. The 3 D.L.I. Battalions took over the front line positions and the 1/5th Borders came up behind them as the reserve battalion. The 1/6 DLI was a battalion recruited mainly in Bishop Auckland and the upper valley of the river Wear, who to the rest of the D.L.I. were known as the “black-buttoned bastards”. The 1/6 DLI was in the centre of the line. The 1/8 DLI was to the right and the 1/9 DLI, known as the “Gateshead Ghurkas” were to the left. Together they would attack the Butte 5 November 1916. Zero hour was set for 0910 on Sunday 5 November. Eventually the survivors fell back across No Man’s Land and the hard pressing Germans were soon threatening even the jumping off positions of the British front line. Back in the front line the Durhams rejoined their comrades of the 1/6th and the 1/8th Battalions who had fallen back hours before. 3429 Private Fred Brunskill, 1/6 DLI from High Etherley and buried at Warlencourt British Cemetery, grave ref, VIII.B.11. Corporal G.T. 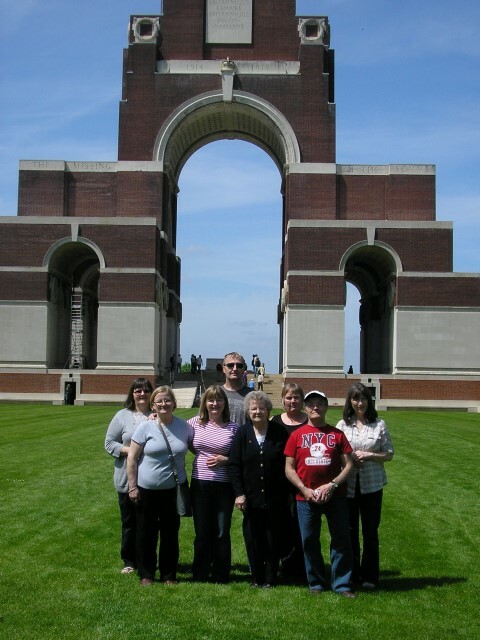 Cox has no known grave and is commemorated on the Thiepval Memorial, the Memorial to the Missing of the Somme. 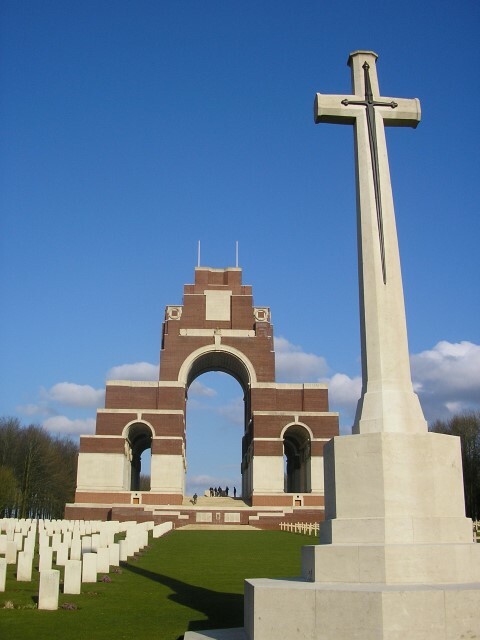 The Memorial bears the names of more than 72,000 officers and men of the UK and South African forces who died in the Somme sector before 20 March 1918 and have no known grave. Over 90% of those commemorated died between July and November. Coporal G.T. 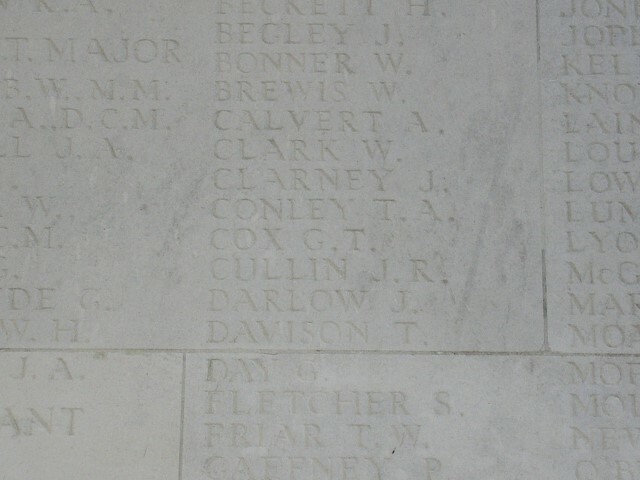 Cox is commemorated on the Evenwood War Memorial and the Roll of Honour in St. Paul’s Church, Evenwood and those memorials dedicated to the 50th Northumbrian Division and the 6/DLI at Wieltje, Belgium, the Butte de Warlencourt, Somme, France, Durham Cathedral and St. Andrew’s Church, South Church, Bishop Auckland.